This issue hits newsstands in the U.S. and Canada starting September 4. 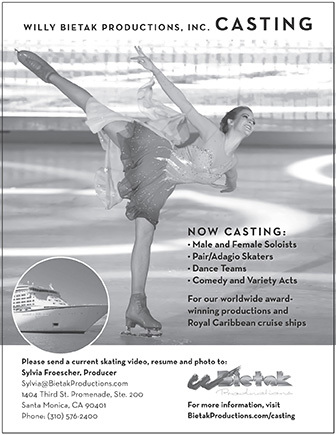 To order a copy or to subscribe to International Figure Skating, click HERE. Japanese superstar Daisuke Takahashi graces the October 2018 cover. After a four-year hiatus, the 32-year-old is returning to competition. His motivation to return is not fueled by money or fame, but a desire to close out his career on his own terms. Making a comeback after a long absence from the competitive scene is a risky move for anyone, but even more so for someone who was a skating superstar not only in his nation, but also around the world. Daisuke Takahashi is aware of the risks of returning to competition after a four-year hiatus, but his reasons for coming back are strictly personal. This time, he is skating for himself.